At the center of trademark law, protection is granted as a negative right to protect consumers from confusion. In turn the protection allows consumers to rely upon the level of quality expected of the trademark in the past. The United States Patent and Trademark Office recently issued trademarks to Tucker Law for the trademarks for DON'T JUST LAWYER UP, TUCKER UP ® (Registration Number 5213441) and TUCKER UP ® (Registration No. 5217326) by itself. The word marks were filed for attorney services, legal services, and litigation services in international class 45. Attorney Matthew Sean Tucker is the founder of Tucker Law, and says that trademarks are important tools for a business to differentiate themselves in the market place and to protect the reputation in their marketplace. Of course, it is not necessary to have a registered trademark in order to obtain trademark rights or for the public to associate a mark with a business. However, a registered trademark will provide for enhanced statutory enforcement right should others attempt to deceive the public as to the source of your goods or services. An experienced trademark attorney will be able to best navigate the complicated waters of the patent and trademark office. 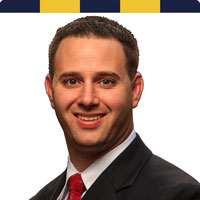 Matthew Sean Tucker is the founder of Tucker Law, practicing as a Patent and Trademark Attorney. Mr. Tucker has helped many companies and individual inventors seek patent and trademark rights at the United States Patent and Trademark Office. Don’t Just Lawyer Up, Tucker Up. ® Serving West Palm, Fort Lauderdale, Miami, Tampa, and Orlando, Tucker Law provides advice and counsel to those clients seeking intellectual property rights.